If you have a talent for learning languages and you’re interested in finding a medical job, becoming a medical interpreter will be ideal for you. These professionals have a challenging and very intriguing job. Their skills and specialisation will determine the salary that they’re going to get but generally, medical interpreters are well-paid professionals. 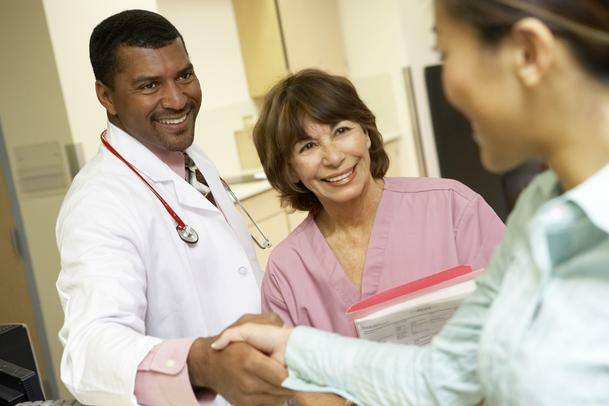 What do Medical Interpreters do? A hospital or medical interpreter is a professional that works with both patients and doctors, translating from one language to another. The safety and comfort of patients is heavily dependent on a medic’s ability to communicate with them. Some serious problems could arise whenever patients don’t know English. It’s the job of the medical interpreter to help physicians and nurses obtain valuable information that will be determining for the treatment of the patient. A medical interpreter could provide assistance during the admission process, while the patient is being examined for the first time and throughout the treatment. An interpreter may also deal with answering some of the questions that patients could have about their stay in the hospital, administrative procedures or billing. How Much does a Medical Interpreter Earn in the US? A medical interpreter in the US could expect to earn a median hourly salary of 19 dollars. The best and most experienced professionals in the field will earn up to 32.94 dollars per hour (the payment will also depend on the languages that they specialise in) and up to 43.92 dollars per hour for overtime work. Medical interpreters that are employed full-time earn a median annual salary of 42,421 dollars. The salaries in the field could reach up to 66,602 dollars per year. The national average in the field is 42,000 dollars. Entry-level medical interpreters earn three per cent less than the average. Medical interpreters that have anywhere between 15 and 20 years of experience can expect to make 10 per cent more. Medical interpreters that are knowledgeable in Russian and Arabic are the ones that make the most. These professionals can expect to earn four and three per cent more than the national average respectively. How Much does a Medical Interpreter Earn in Canada? There’s no specific information about the amounts that medical interpreters earn inCanada. Taking a look at general interpreter salaries, however, can shed some light on the field. The median annual salary of a translator in the country is 49,351 dollars. The most experienced interpreters and the ones familiar with languages that are currently in demand can expect to earn up to 71,200 dollars per year. In terms of hourly payments, interpreters inCanada earn an average of 20 Canadian dollars. The highest hourly payment is 30.21 dollars. The national average in the field of translation is 49,000 dollars per year. Entry-level interpreters earn 12 per cent less than the average. Late-career interpreters can expect to earn up to 11 per cent more. Once again, familiarity with certain languages can bring the interpreter’s annual salary up. Interpreters that specialise in French translation and localisation earn three per cent more than the national average. Medical interpreters that work in different parts of theUS will usually earn salaries that also differ. According to the Bureau of Labour Statistics, three states feature salaries that are higher than the average for all interpreting fields. These states includeVirginia,Maine andNew Jersey. The highest-paying cities areWashingtonD.C. (an average of 93,670 dollars per year across all translation fields) andSyracuse (75,480 dollars per year). Migration and globalisation are making more and more individuals seek better living and working conditions in other countries. As a result of these dynamics, the need for experienced medical translators is also going to grow in the years to come. According to the BLS, the demand for all types of interpreters will increase by 42 per cent in the period until 2022. The growth is much higher than the average for all other professions in theUS. Translators that are familiar with Spanish will benefit from particularly good employment opportunities in healthcare facilities. Getting started in the field of medical interpreting right now will give you a wonderful opportunity to build a stable career in the years to come. Apart from globalisation, the rapid aging of the world’s population and chronic diseases will make hospitals expand their staff. Take your time to choose the right language to specialise in, if you’d like to benefit from a lucrative salary and professional growth opportunities.